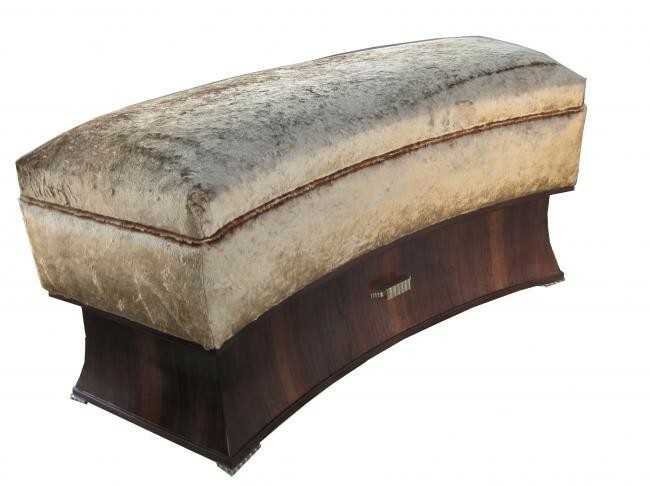 Designed to fit perfectly against a curved wall, this lovely bench seat is made in American Walnut. The fabric is silk velvet. Fluted bronzed feet and front ornament are designed and made by Bainbridge.